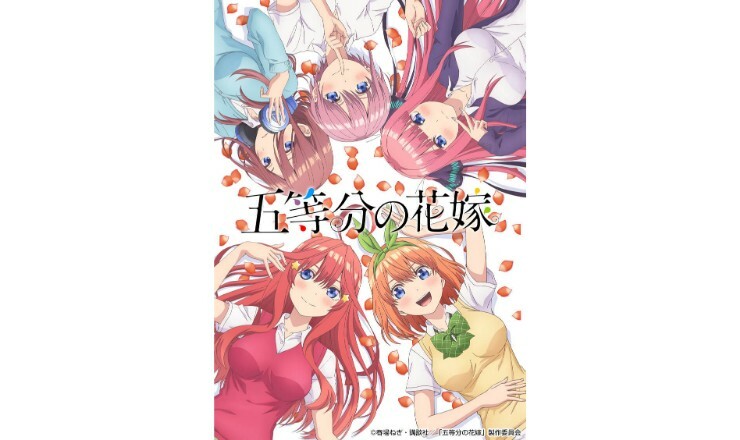 The anime adaptation of Negi Haruba’s shonen manga series The Quintessential Quintuplets is set to begin airing in January 2019. New information surrounding the opening and ending themes of the series has been unveiled. 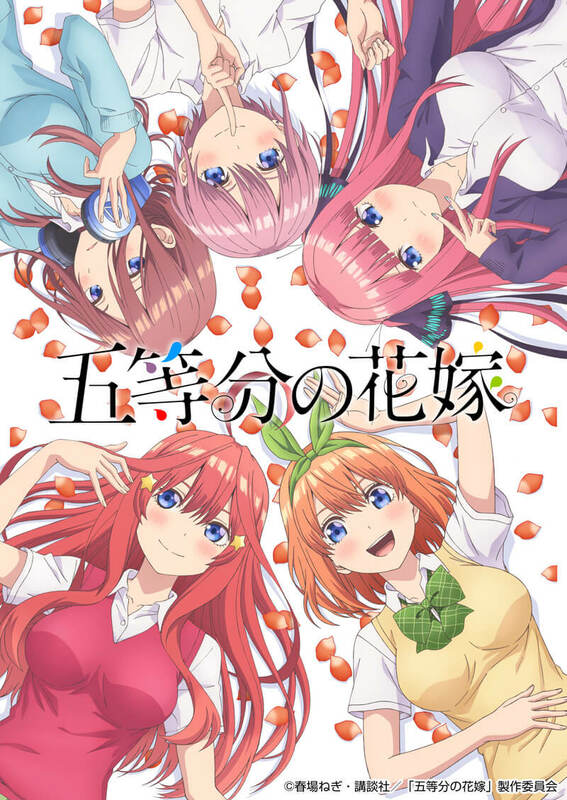 It has been announced that the opening theme song titled Go-Tōbun no Kimochi will be performed by the series title character quintuplet sisters themselves. The cute song sees each sister giving their thoughts to the series protagonist Fūtarō Uesugi. The series ending theme song titled Sign will be performed by Japanese singer and voice actress Aya Uchida. It’s described as a melancholic song about predicting the fate of one’s love. The anime will air in Japan on TBS on January 10, on Sun Television on January 11 and on BS-TBS on January 12. Additional cast has also been revealed. 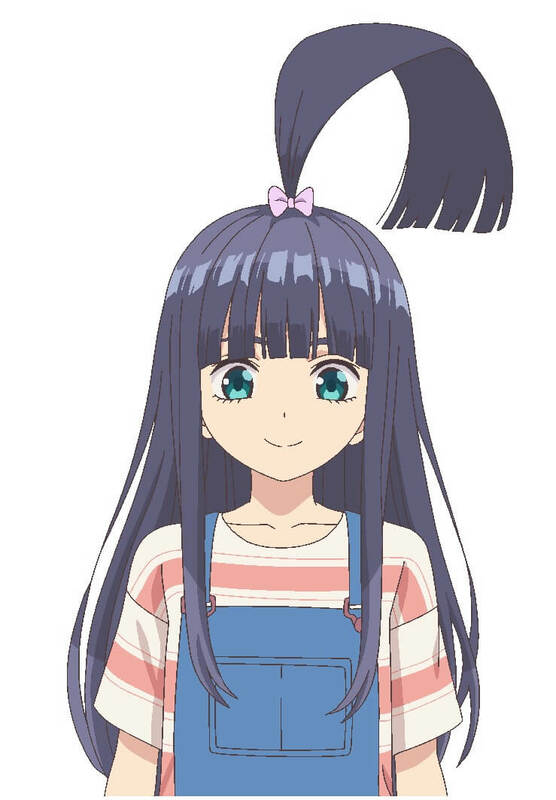 Natsumi Takamori will play the part of the protagonist’s young sister Raiha Uesugi. 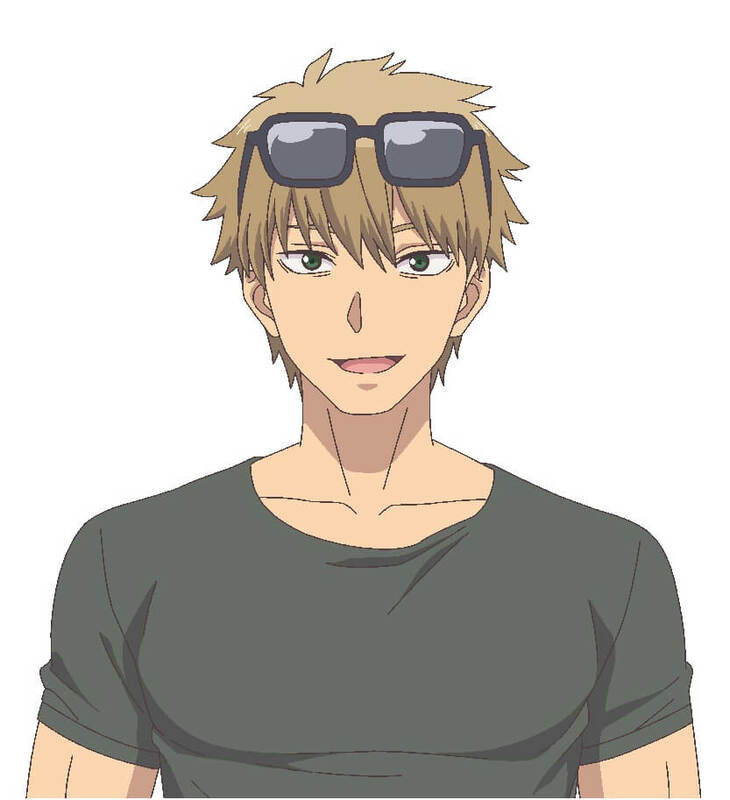 Satoshi Hino will take the role of his father, Isanari Uesugi.